Too Faced is one of my favorite brands of make-up. Not only do they have excellent face and eye primers, but they also have a variety of products, such as their makeup palettes, that are excellent quality. 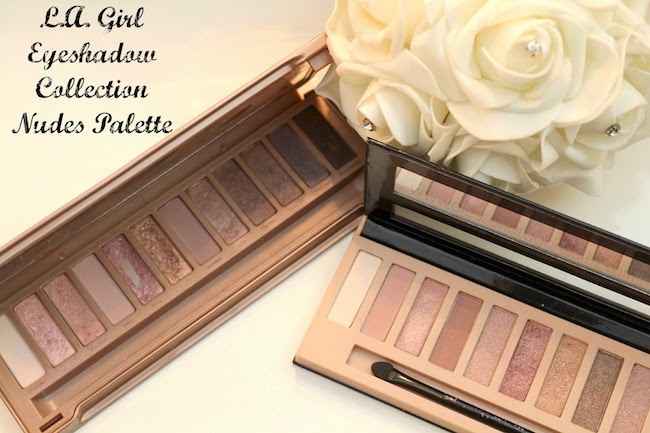 If you have followed my blog for some time, you know that I love their eyeshadow palettes, I own almost all of them (except one, which I hope to acquire soon!). As a result, I was selected as one of the Too Faced Beauty Bloggers of the Month. I gained level three; thus, Too Faced kindly gave me a $25 e-gift card for one of my readers. Do you want to know how to win? Read the rules below! 3) MUST live in the U.S.
4) MUST leave a comment below stating what you will order from Too Faced Cosmetics if you win? 5) MUST include your e-mail address in the comment and the name that you use to follow me via google friend connect. **COMMENTS THAT DO NOT INCLUDE 4 AND 5 WILL NOT BE COUNTED. Winner will be announced June 17, and will have until June 30th to use the $25 electronic gift-card! I Recommend the Following Products! Too Faced es una de mis marcas favoritas de maquillaje. No solo tiene excelentes pre-bases de ojos y cara, pero tambien tiene una de las mejores paletas de sombras de ojos. Si llevas tiempo siguiendo este blog, entonces sabes que sus paletas de sombras son unas de mis favoritas. 3) TIENES que vivir en los Estados Unidos (Perdón a todas mis suscriptoras internacionales, pronto habrá un sorteo internacional)! 4) TIENES que dejar un comentario abajo diciendo que comprarías con los $25 dólares. 5) TIENES que incluir en el comentario tu dirección de correo electrónico para contactarte y el nombre con el que me sigues en Google Friends Connect. 6) UN COMENTARIO POR PERSONA! ***LOS COMENTARIOS QUE NO INCLUYAN LA RESPUESTA A 4 Y 5 Y QUE NO SIGAN LAS REGLAS NO SERAN CONTADOS! Hola Ale! Mi nombre es Gabriela y mi correo es roj1n3gra@gmail.com :) Si gano me gustaria comprar la paleta de Glamour to Go. Los colores son perfect para el maquillaje que me gusta hacer casi a diario :) Tambien la paleta es perfecta para llevar si salgo de viaje. Gracias por el sorteo!<3 Ahh y tengo 24 años y vivo en California. I would love to get the Too faced Matte eye palette. My email is medranolaly@yahoo.com and i follow you as randomlaly! Here and on youtube! The too faced summer eyes! I would love the Too Faced Summer Eye product and my email is misaki52008@yahoo.com and I am using misaki52008 to follow u here! I would put the money towards the Summer Eye Collection Palette, if I won. Ohhh.... exciting and thank you!! I would try the primed and poreless..... or the eye shadow primer. AmyCat71@yahoo.com and my user name is also AmyCat71. Thank you again and good luck to everyone. Thanks for this amazing opportunity <3. I would use th egiftcard towards the poolside primping set. My name on the google friend contact is mindyshay and my email address is mindy.shay@aol.com. I live in the united states and am over the age of 18. Me compraria la Too Faced Summer Eye Palette! Vivo en Argentina pero tengo una amiga en USA que podría recibir el regalito, puedo participar igual? I would either go for a glamour gloss or put it towards a palette. I don't own any too faced yet. I don't own any too faced products so I would get the too faced summer eye palette for sure its so pretty!! BESOS ALE Y GRACIAS POR EL SORTEO! hey Ale! if i won, i would get the TF Chocolate Soleil Matte Bronzing Powder! my email address is: chimi23alcala at gmail.com thank you! although i love thousands of things from toofaced, i would probably get the The Bronzed & The Beautiful Bronzing Collection - French Riviera Edition. thanks for giving us a chance to win this! gnlmakeup@gmail.com and my gfc: Gi Rivera. gracias! Hola, me gustaria comprarme primed poreless powder, vivo en Colton CA, mi email es addriana.rivera@gmail.com y mi nombre el google es adriana rivera, gracias por sorteo. hola, si yo ganara esta tarjeta me compraria cualquier paleta de too faced porque me gustan todas y no tngo ninguna... un beso suerte a tod@s! If I was to win this giveaway I would put the money towards the chocolate solei bronzer which I have beem lemming for so long! I heard so many great things about this product and I would love to try it out! Thank you for this giveaway and please continue making fashion videos!